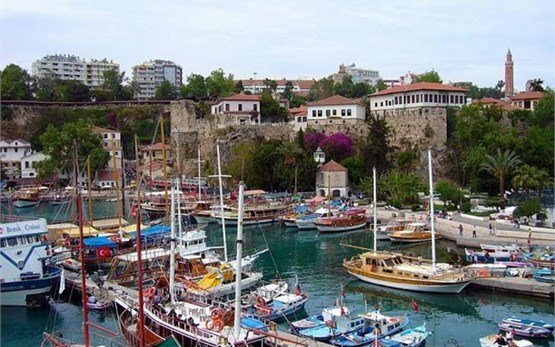 The pearl of the Turkish Riviera - Antalya, is Turkey's biggest international sea resort and a major city on the Mediterranean coast of southwestern Turkey. 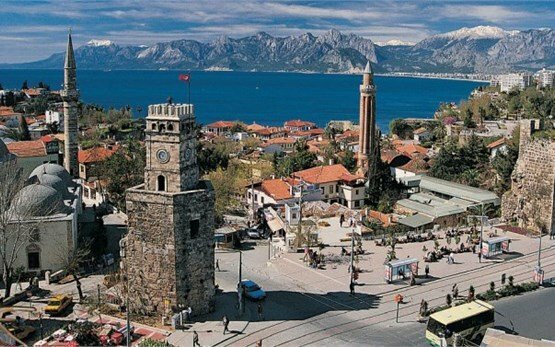 Nestled in the Gulf of Antalya, surrounded by the soaring peaks of the Bey Range to the west and the Taurus Mountains to the north, Antalya has always been a city of astounding natural beauty. It has attracted different civilizations as early as 133 BC and has been famed as the "Heaven on earth" from as long back as the 1st century BC. 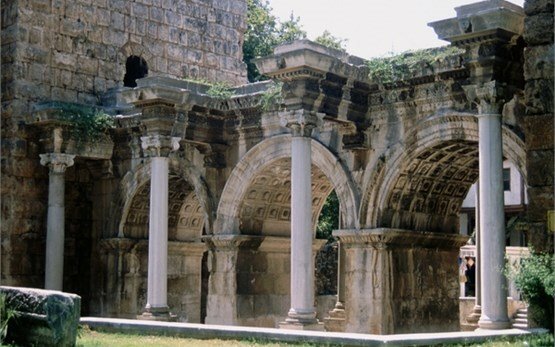 Today, the city is bursting with archaeological wonders like the Hadrianus Triumphal Arch, Hierapolis and Yivli Minareli and possesses one of Turkey's finest museums - Antalya Archeological Museum and a wonderfully preserved, atmospheric old city district of Kaleiçi. 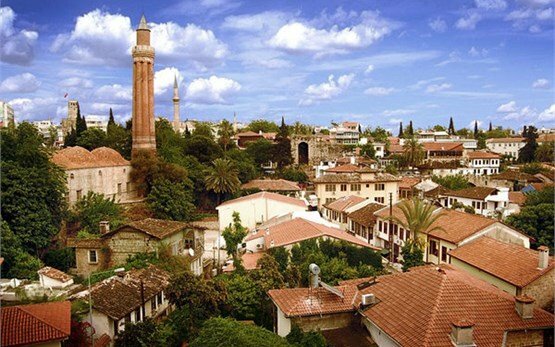 As the center of a region with stunning turquoise beaches, verdant mountains, and a mind-blowing number of ancient ruins, Antalya is also a definite tourist hub for millions of visitors every year, and with a population of almost one million, it is among Turkey's fastest growing cities. These days the international terminals of Antalya airport are busier even than those in Istanbul serving flights by Turkish Airlines, Thomas Cook, Cathay Pacific Airways and many more charter international flights. If you want to experience the charms of Antalya on a hire motorbike with its sand-and-shingle 15km beach stretch, splendid Roman-era harbor, cosmopolitan bars and modern marina, or use it as a gateway to the Turkish Riviera which innumerable delightful beaches are paradise for swimmers and surfers, have a look at our selection of motorcycles for rent. 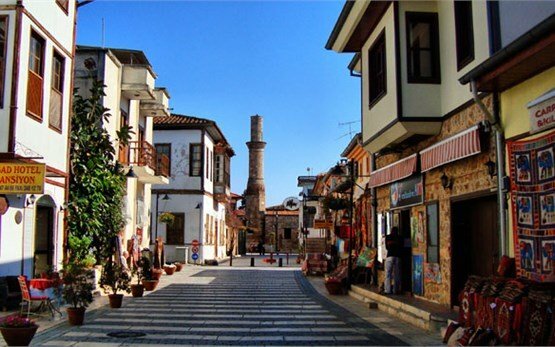 Whether you want to start exploring the shores of the Mediterranean Sea, the antique archaeological sites like Olimpos, Aspendos, Perge, Selge, Phaselis, Side and Termessos in the region or the dramatic mountains to the north on your own rental motorcycle immediately after your arrival at Antalya Airport, 13 km northeast of the city center or to pick up the bike at your Antalya hotel, we have you covered.